Would you take your children on a taste tour? 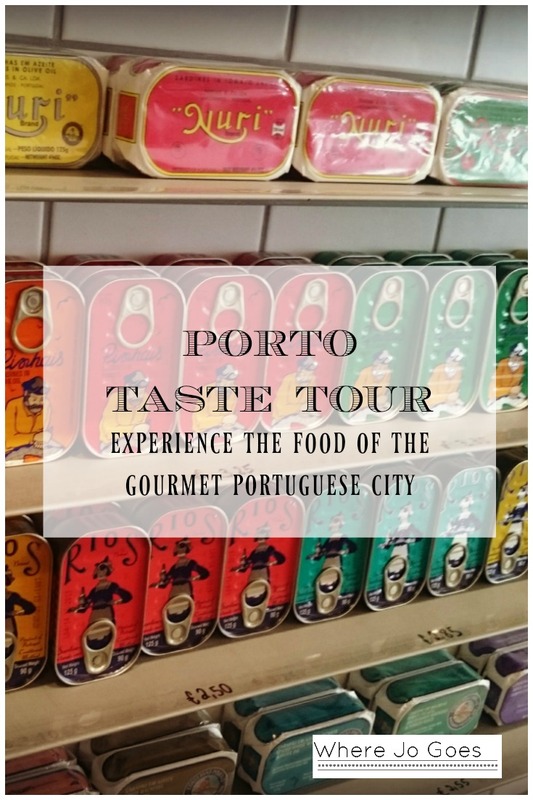 I’ve never been on a food tour, so on our recent visit to Porto we planned to do one. We liked the look of Taste Porto and booked their Vintage Downtown Tour. The tour was advertised as taking 3.5 hours, but I didn’t tell the kids that beforehand! How would it go? Our guide for the evening was Andre and what he didn’t know about Porto wasn’t worth knowing. As well as being an expert on the city and its food, he seemed to know everyone! Andre was welcoming, entertaining and managed a group of varying ages and nationalities, all done with a smile and a passion for the food of Porto. 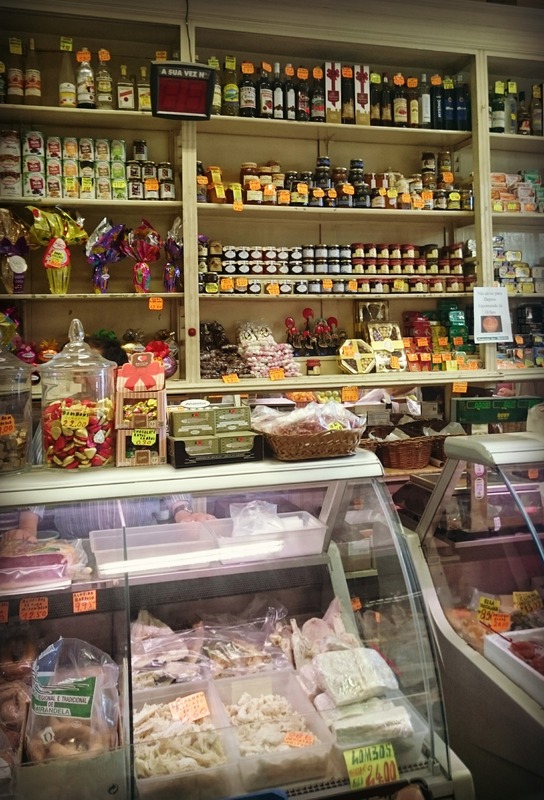 Our first stop was Mercearia do Bolhao in the heart of the city. One of the oldest grocery stores in Porto, here Andre told us about the young chefs returning to classical Portuguese ingredients and how they were reviving the older food traditions of the city. We sampled folar, a Portuguese bread with a type of ham called chourico baked into it, as well as sheep’s cheese and jam. The windows of the stores on this street are an attraction in themselves, huge cakes, folar breads, strings of sausages and mounds of cheese. Next stop was a big hit with my children, chocolate! 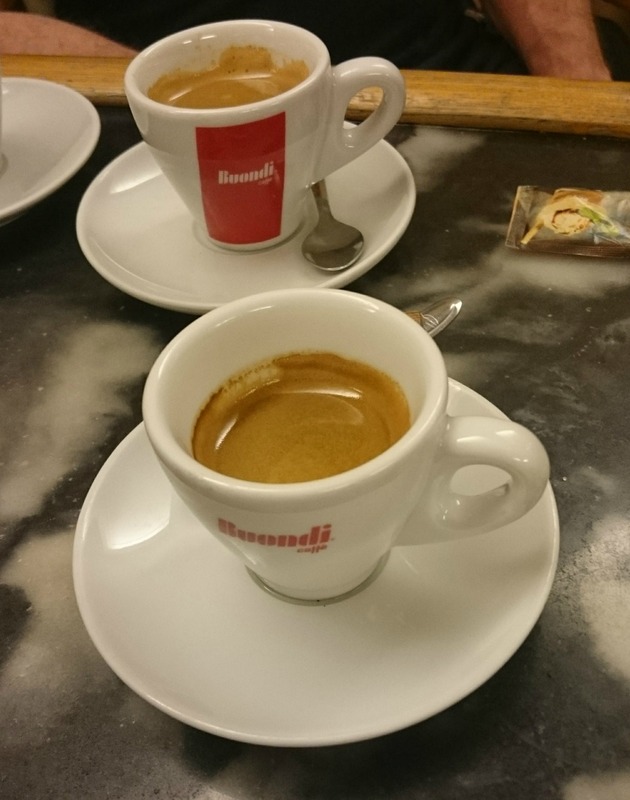 At the Confeitaria Ateneia we sampled chocolate from the oldest chocolate producer in Porto and strong coffee. This bakery was full of traditional Easter cakes and gourmet chocolates, yet Andre explained that it’s a great value place to stop for a coffee and something sweet. Sardines may not normally follow chocolate but our next stop was a wonderful little shop selling sardines and other fish from several different companies, Loja Das Conservas (translates as The Canning Shop). It is run by the various canning companies as a co-operative shop window to spread the good news about their wares. 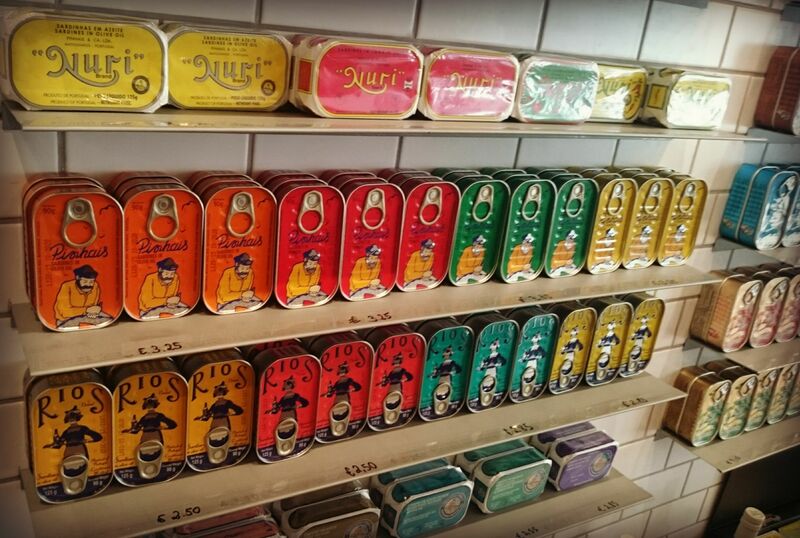 A feast for the eyes as well as the stomach, this shop’s walls were covered in the brightly coloured iconic sardine tins from different producers. I was surprised that my daughters dug into the fish so happily and pronounced it delicious – if I served up sardines at home I may get a different reaction but they were clearly adopting a ‘when in Rome’ attitude! Our first glass of wine of the tour accompanied the sardines. Tasco was our next port of call, where Andre explained about petiscos, small plates of food designed for sharing and how they differ from tapas. We tried codfish and a game meat sausage accompanied by wine. The portions were large and we were beginning to realise that if you do this Taste Tour you won’t need to eat for the rest of the day! A stroll through Porto as Andre pointed out key points of interest led us to Confeitaria Alianca, a traditional patisserie where we sampled the egg yolk pastries so popular in Portugal. Andre told us the history of these, how the egg whites were used to clarify wine and so the large number of yolks left were traditionally used to make the delicious cakes. 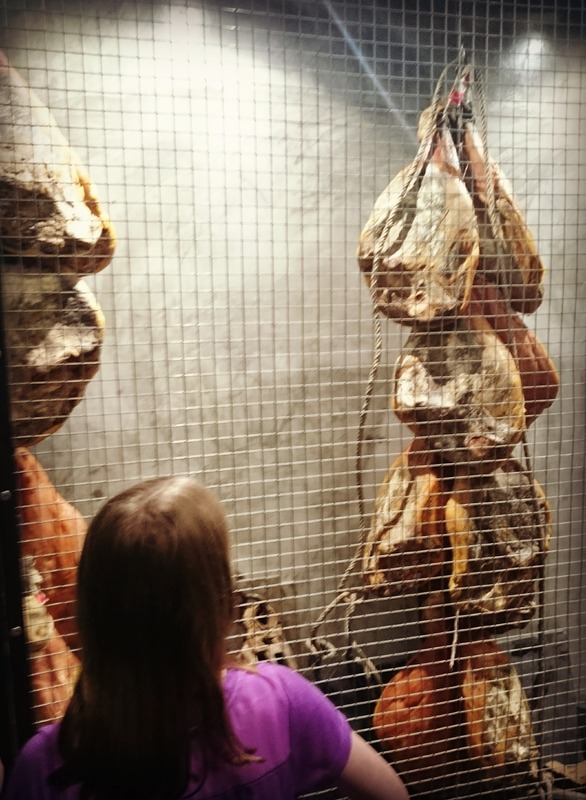 Our final stop on the tour was Taxca, a modern bar with hams hanging from the ceiling and where locals go for cured pork sandwiches. As well as huge sandwiches of melt in the mouth ham on cloud-like, fresh crusty bread, we sampled octopus salad and chicken gizzards. My daughters tucked into these no problem! Another glass of wine washed down the sandwich and it was time to say goodbye to our fellow food tasters, who hailed from the USA, Hong Kong and the UK, and to our guide Andre. So, can you take children on a food tour? Yes! Even one with lots of walking and a 3.5 hour duration. Andre made the tour a real pleasure and an educational experience. I’d definitely recommend a food tour as a great way of seeing a city, sampling the local cuisine and meeting the locals. Nos Alegra (cheers to us!) as they say in Porto! Food tours are always a great way to experience a place! I haven’t been to Porto but it sounds like a great city. Actually it sounds like the perfect way to tour with kids – little bit of walking, little bit of sitting down, and regular snack breaks. It’s always surprising what they will eat for other people if not for you, but then most of the food you ate looks pretty child friendly too. Cool find! Yes I think the constant nibbles kept them going! What a great idea – I really need to introduce my (very fussy) daughter to new tastes, and a food tour would be great. We’re still contemplating where to go in the summer, but now I think a Food Tour is an essential (alongside a pool bar somewhere). I’m doing one everywhere I go now! This seems amazing. I wish I had known about this – I was in Porto last month. I love how beautifully they package sardines in Portugal – I took lots of photos of them too! Such beautiful colours aren’t they! Haven’t down a food tour, this looks great! Oh wow, you had us at food tour. I just ate a pizza so I’m pretty full, but even then this made me hungry. And those little colorful cans look amazingly adorable. We recently went on a food tour of Las Vegas, and this looks like it far surpasses what we did. A food tour in Vegas would be awesome! This looks like such a fun way to get to know Porto! Would definitely love to try it some day! I’ve never done a food tour before, but they sound like a great way to get to know a place! 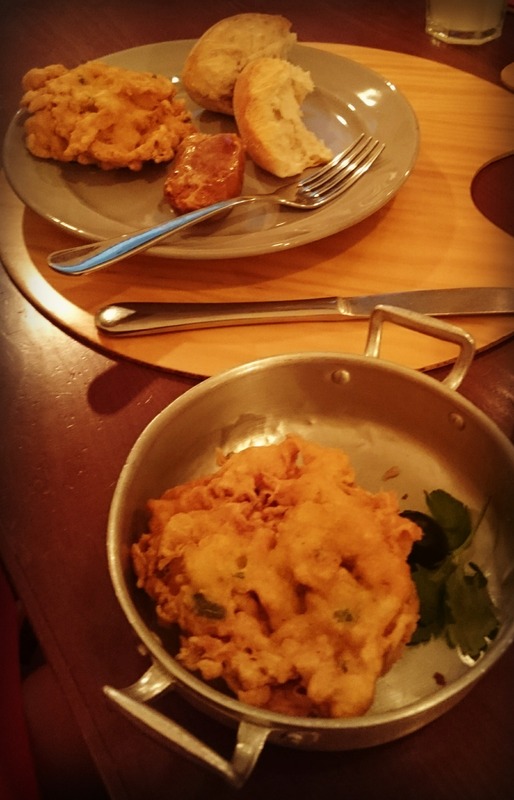 Plus, I’m always hesitant to order and buy local dishes, because I have such a sensative pallate. I don’t want to waste my precious travel funds on foods I may not like! Going on a food tour sounds like a good way to sample a lot so I’d know what to eat on my own. Interesting tour. I’m a big fan of food tours. What is folar bread? I am not familiar with that term. Were there sardines in the cute little tins in the first pic? 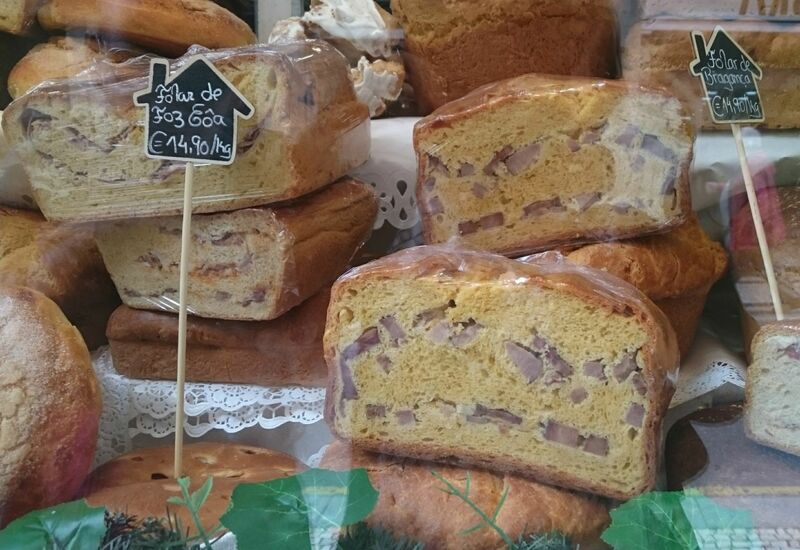 Folar bread is stuffed with ham and sausage. Yes the little tins are full of sardines! I couldn’t agree with you more about food tours! 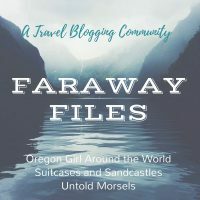 They’re usually so much fun, you get to learn all about the incredible city that you’re in, plus you also get to eat some amazing food (and wine in your case)! I’m glad that your kids enjoyed their time too! This tour looks amazing!!! I love any type of food or cooking tour!! 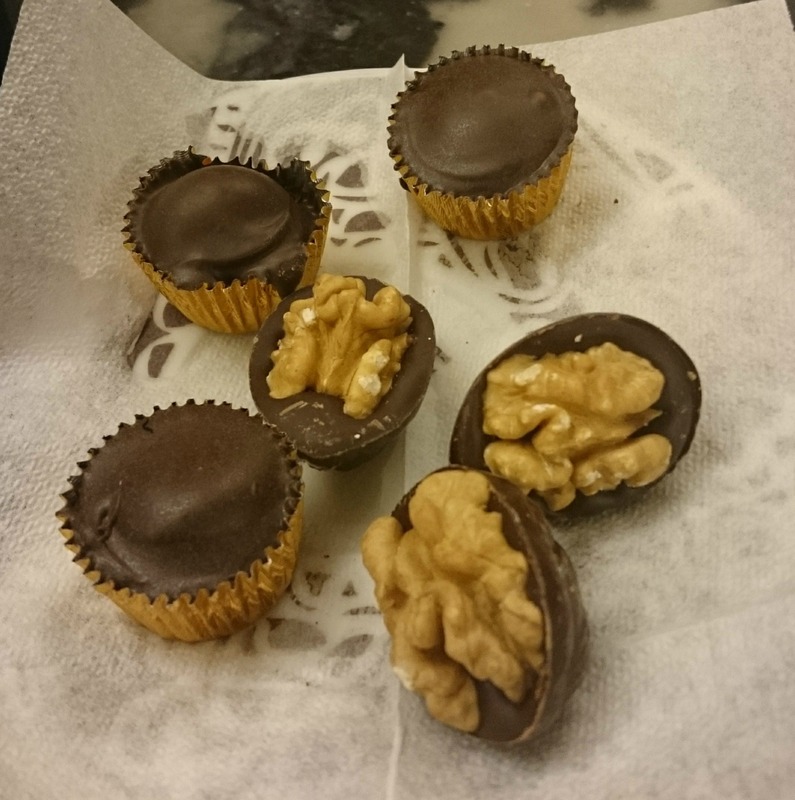 I’m definitely craving those chocolates with walnuts (beautiful and tasty looking for sure) now! I love food tours and this one looks so so yummy!! I’ve never been on a food tour, mostly because they tend to a bit on the pricy side, but it sounds like a lot of fun! I think it is a GREAT idea to take kids on a food tour! My son is a bit young for it right now, but in a couple of years I think he might really enjoy it. This looks like a great tour, and I’ve been dying to go to Portugal. If I make it there soon I will certainly look into this tour! I would like to do a good tour like this! 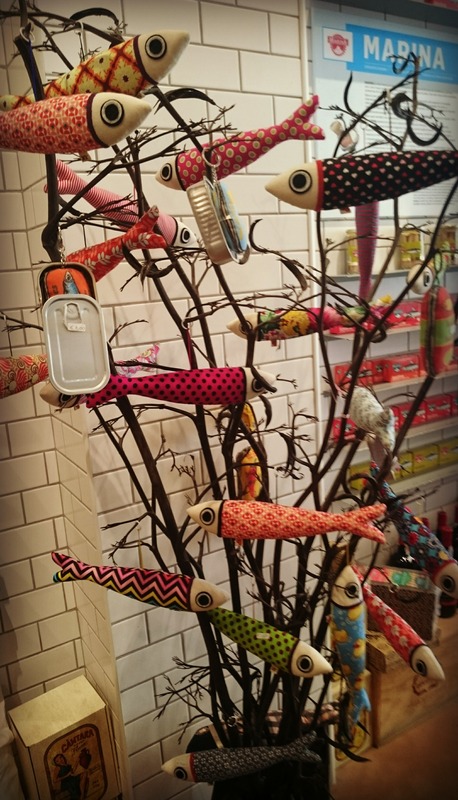 We found a sardine, tuna and mackerel store in the French Basque Country. The way they arranged all the cans was lovely. At first glance, I had no idea what I was looking at. My husband got a set of six different flavors. What a coincidence! I went to Porto three years ago, and just this week I’ve been going through my photos of the trip and reminiscing about the great memories! We didn’t go on a food tour, but it sounds like an amazing idea! I’ll have to look into it for my next trip. I absolutely love those egg yolk cakes, but I was super hesitant to try it at first. Thanks for the great tips! We did a food tour in Porto too. It was a lot of fun and they do have a lot of good food. Glad to hear that your kids enjoyed it. Thanks for sharing on #TheWeeklyPostcard. My first food tour too Kat! We really enjoyed it. We found food tours to be a great fit with our kids too. 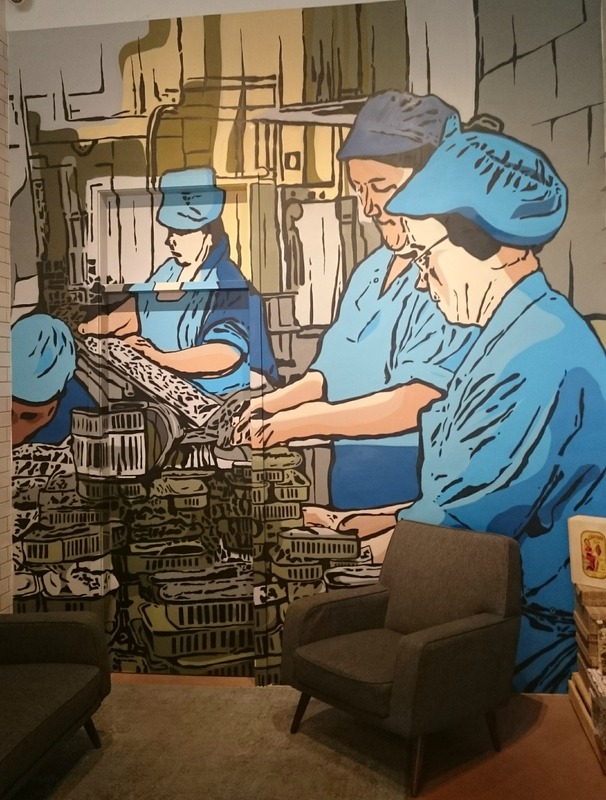 You get to explore a place with a local, take regular breaks and eat! The time seems to fly by and the kids get a lot of attention too. We did a food tour in Hanoi, Vietnam, and it was one of our kids highlights of our time there. Now this is my kinda tour! I’m hungry just reading this 😉 And I really need to get to Porto.